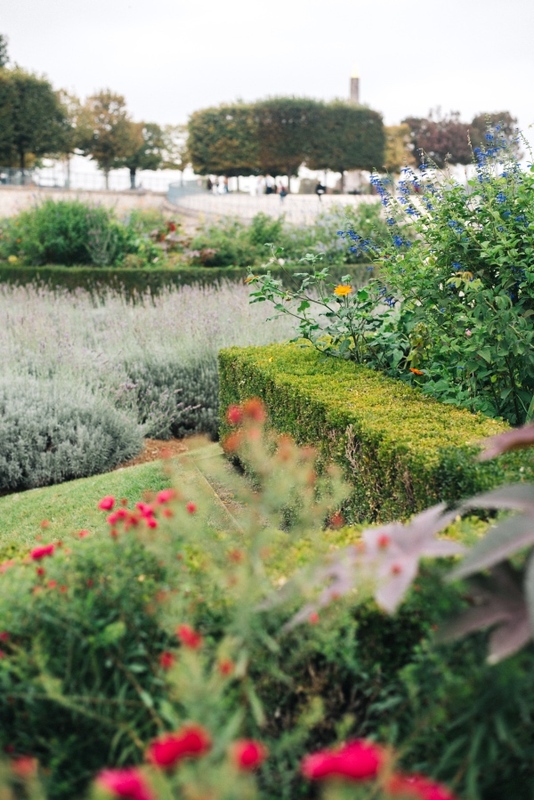 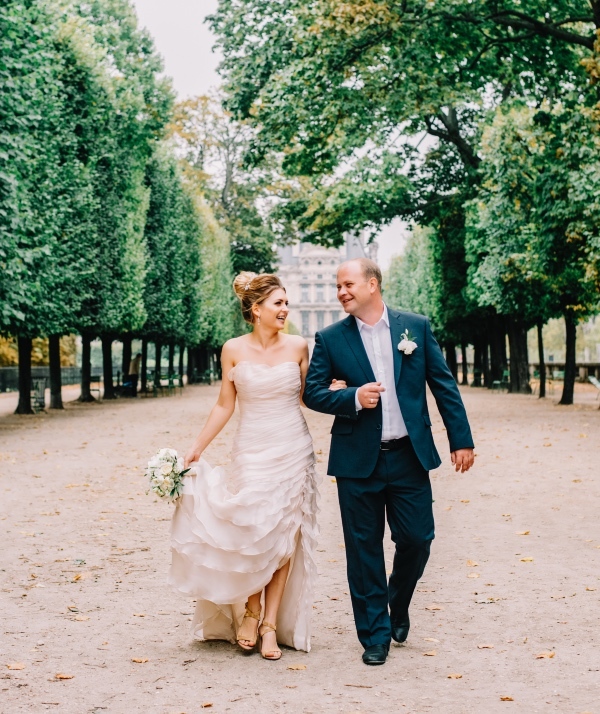 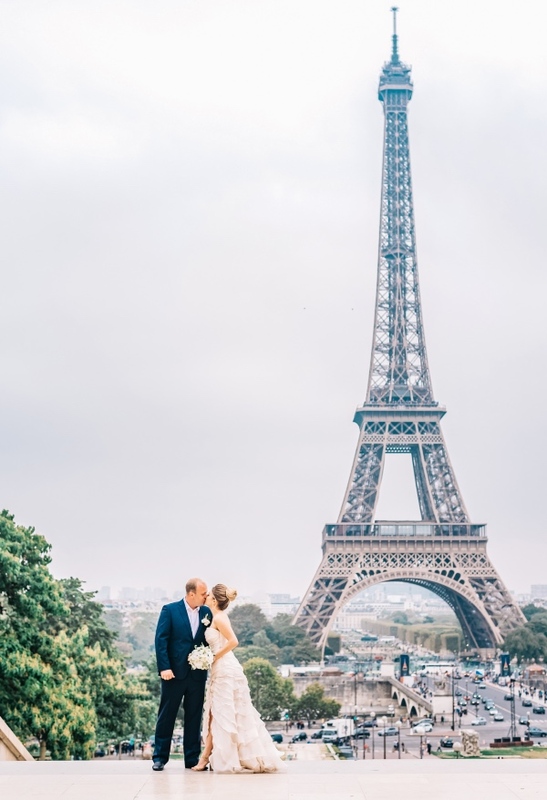 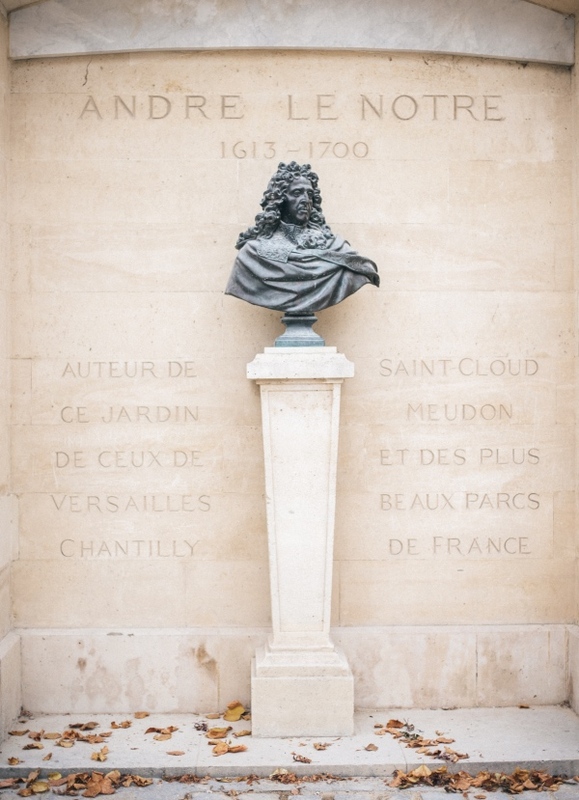 Alexander and Anna decided to elope in Paris in September 2018. 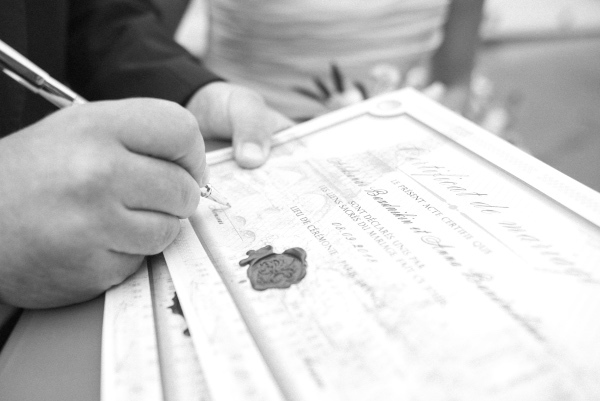 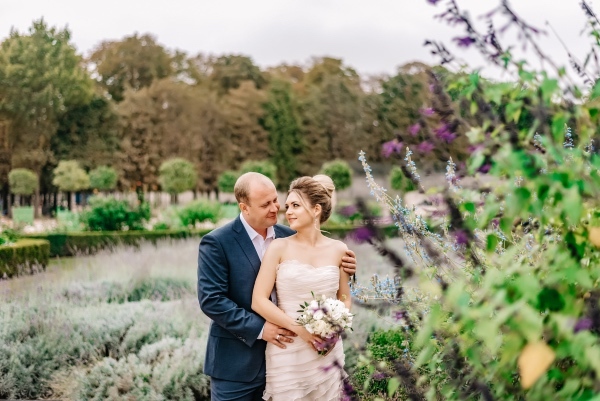 What a wonderful union of two so different people with romantic soul! 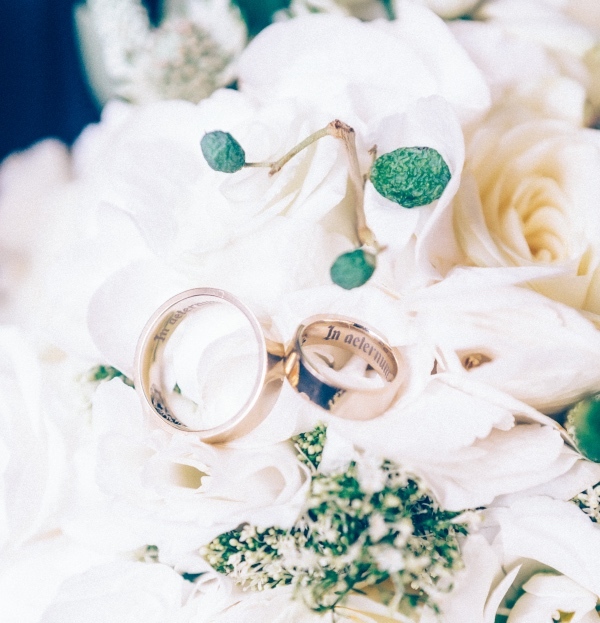 Yet still, their differences beautifully complement each other, making them a happy and genuinely harmonious couple. 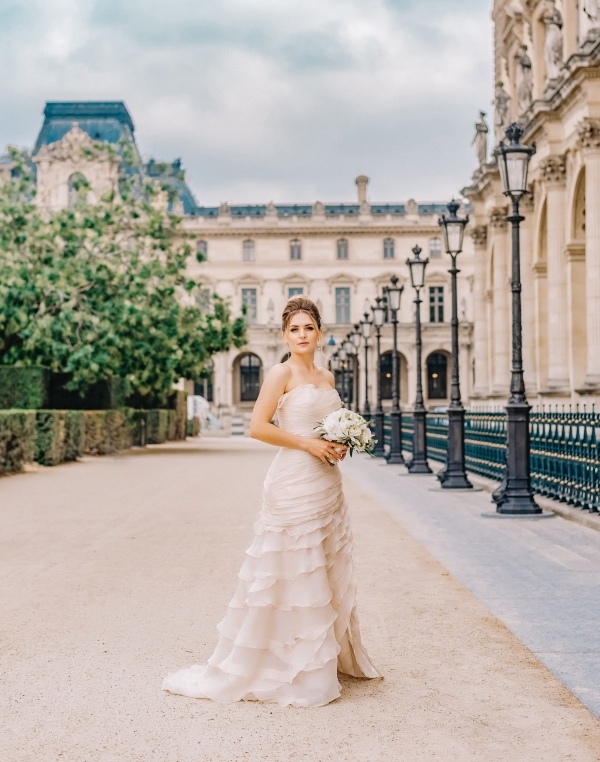 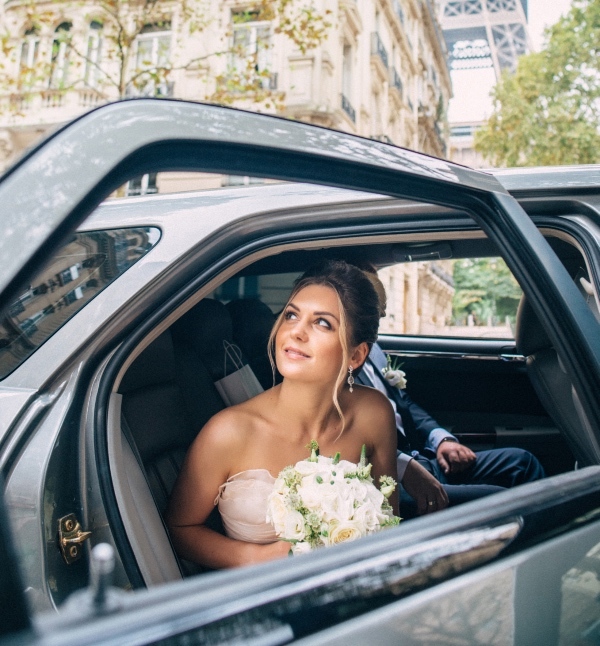 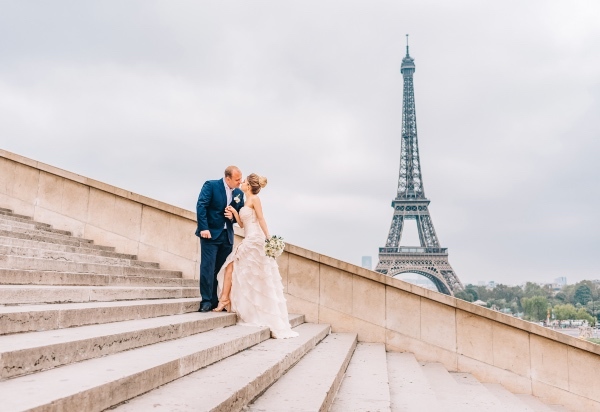 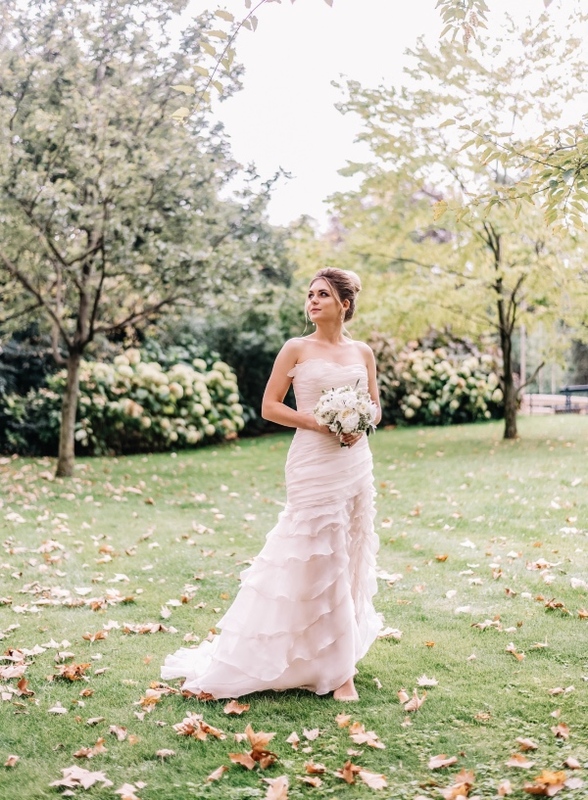 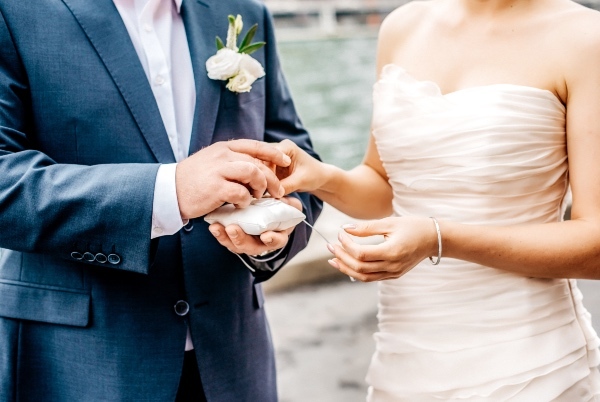 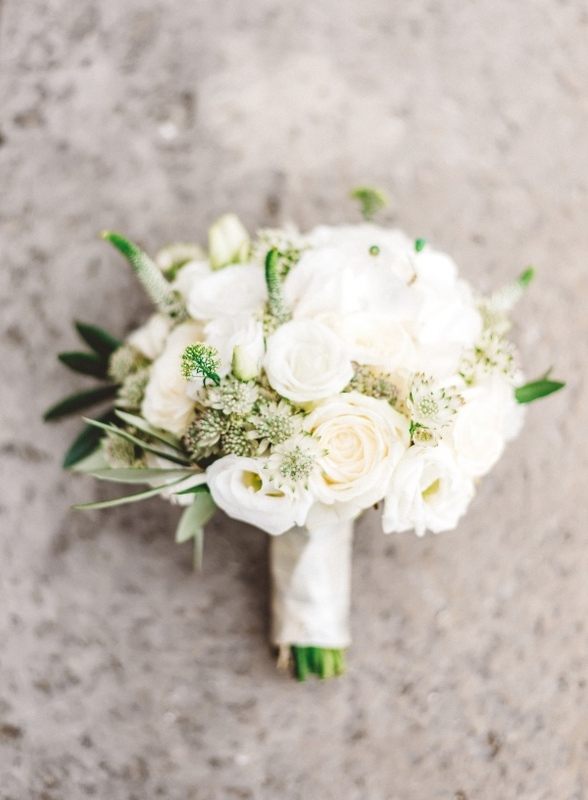 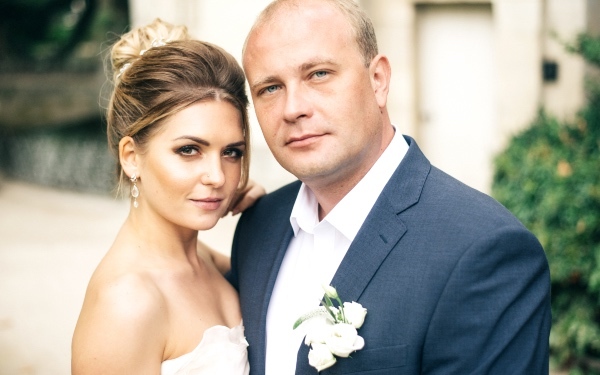 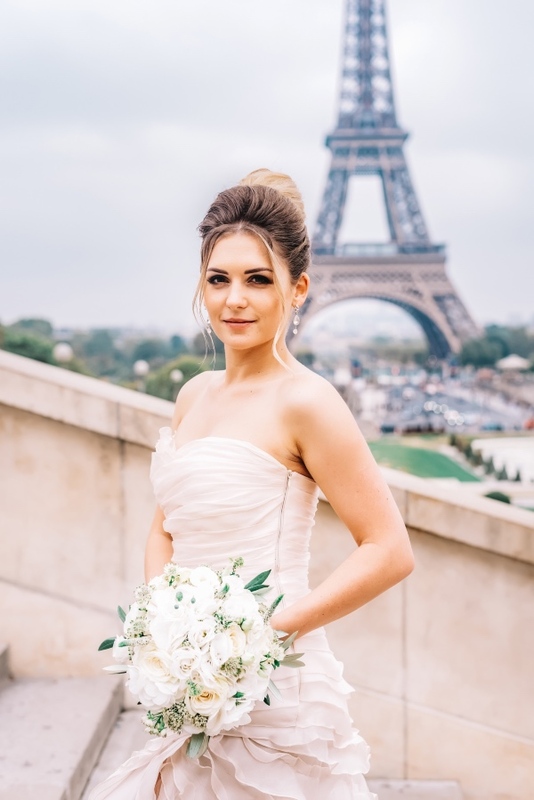 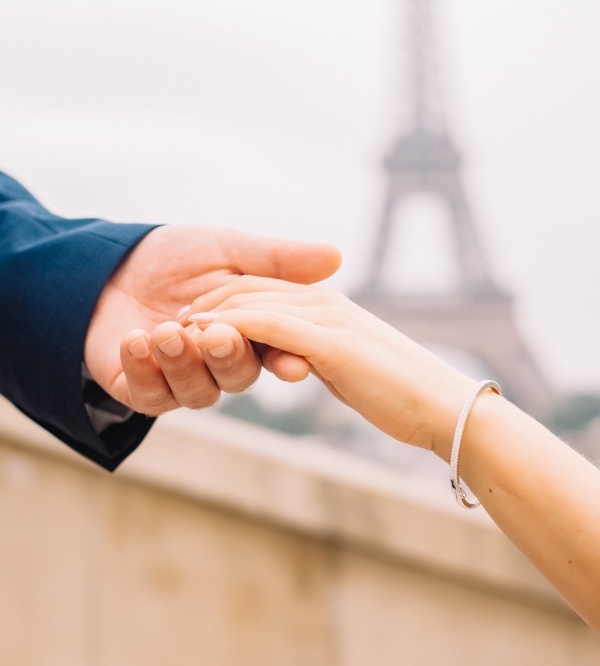 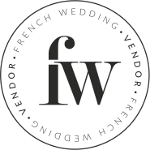 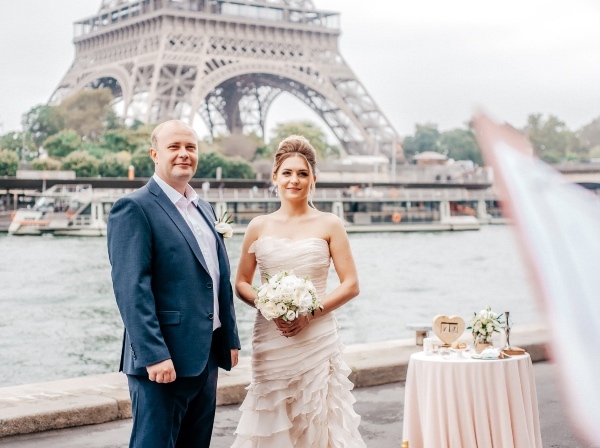 Anna has always dreamt about a romantic elegant wedding with neutral colours, and Alexander, loving her so much, decided to let that vision turn into a reality by choosing to elope in Paris. 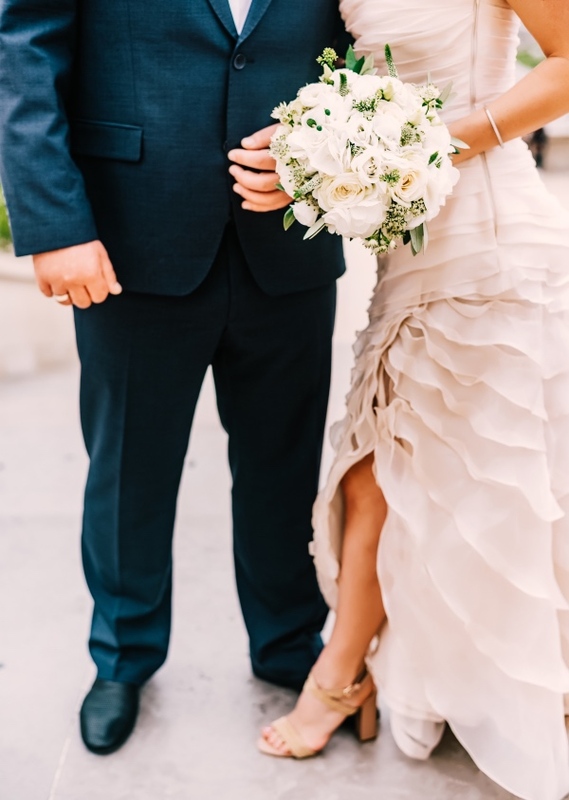 The best present you can only wish for! 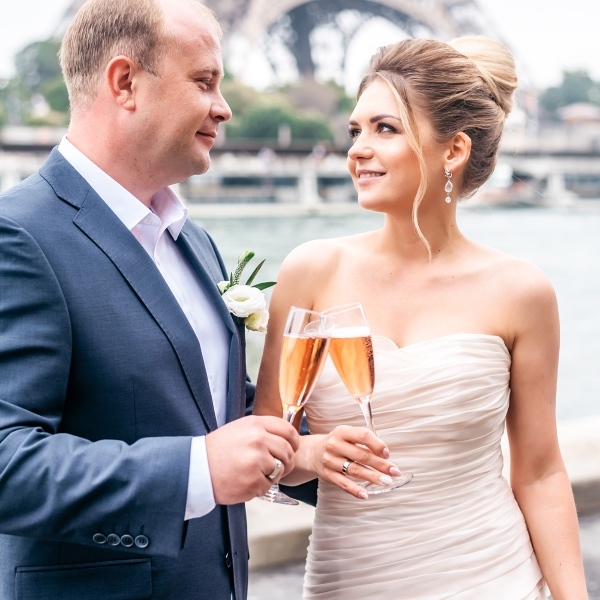 Alexandra says that it was one of the happiest days in her life, which could only be compared with the day when he proposed to her. 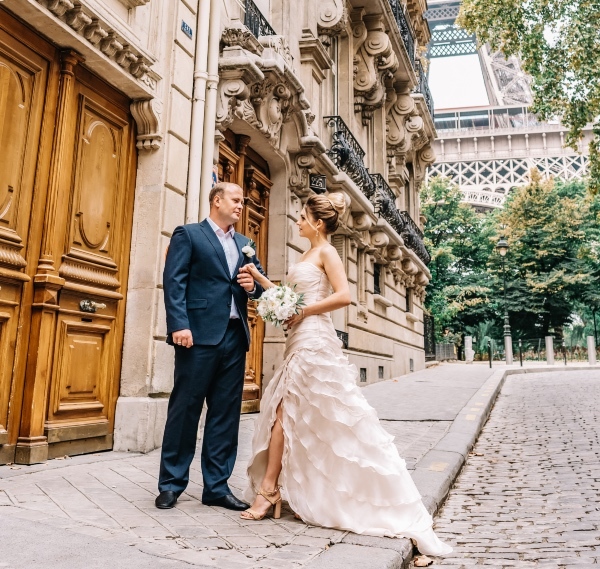 Their wedding day was the real triumph of love and romance – the picturesque Paris streets, green gardens and tender blooming flowers. 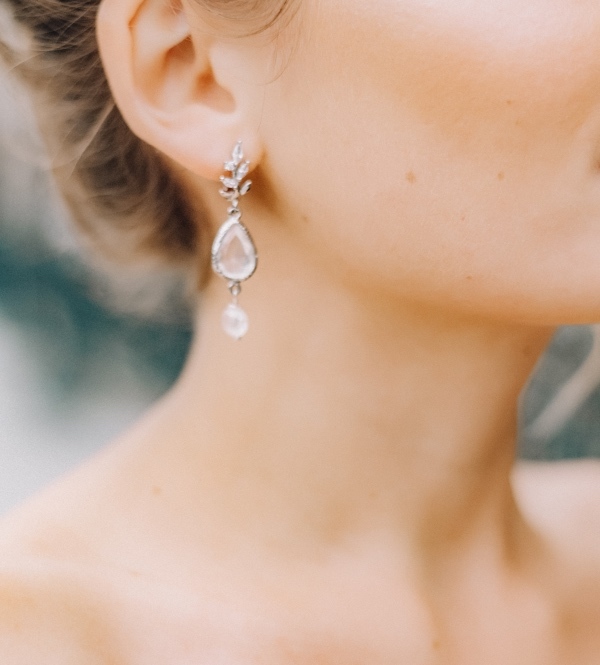 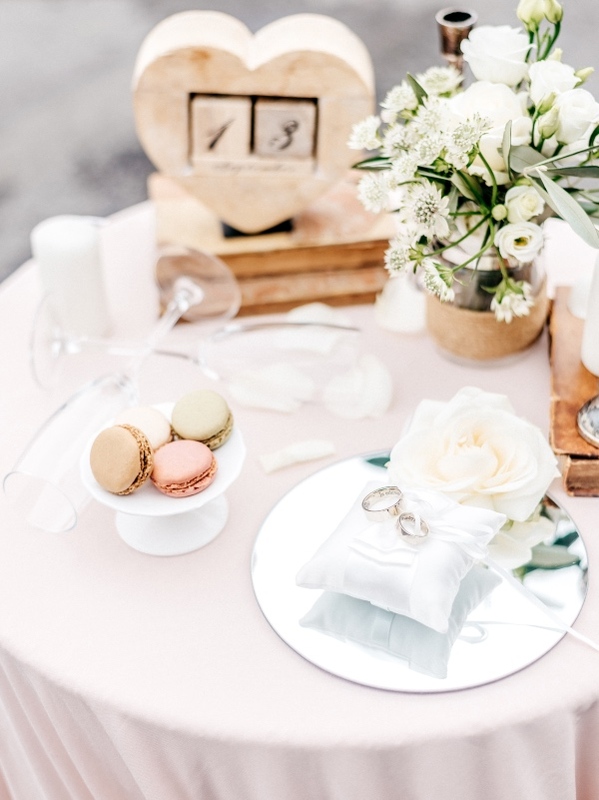 Soft, neutral colours, minimalist jewellery combined with sophisticated and elegant outfits – the incredibly charming and exquisite wedding style. 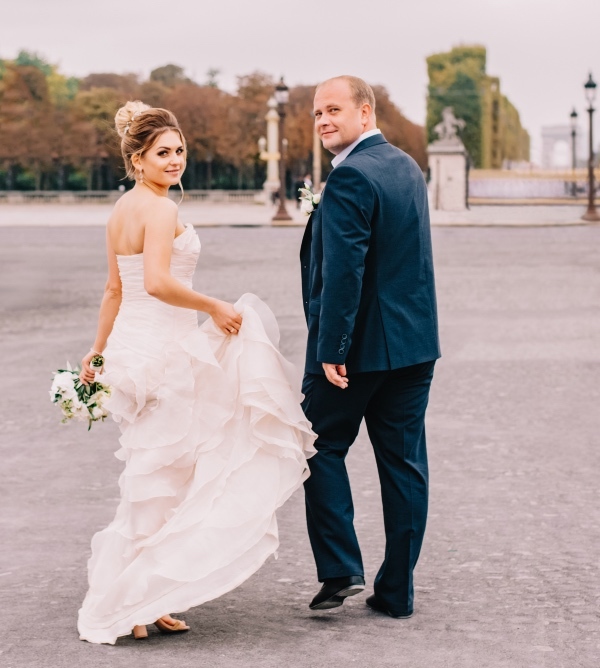 Anna’s off-the-shoulder ruffled dress in light and delicate pink looks vintage, luxurious and perfectly balanced – she ordered that dress to be made according to her own view of Parisian lifestyle that she admires very much. 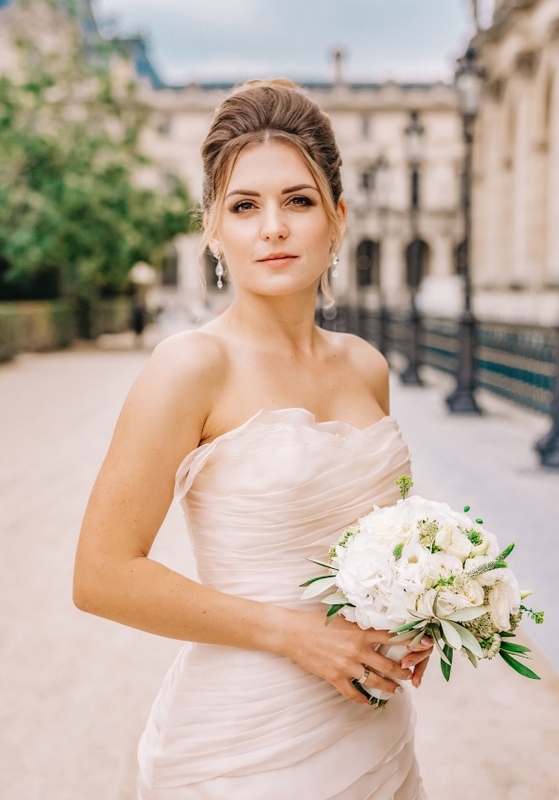 And together with her romantic hair style all that creates a truly unique image – she looked just like a princess! 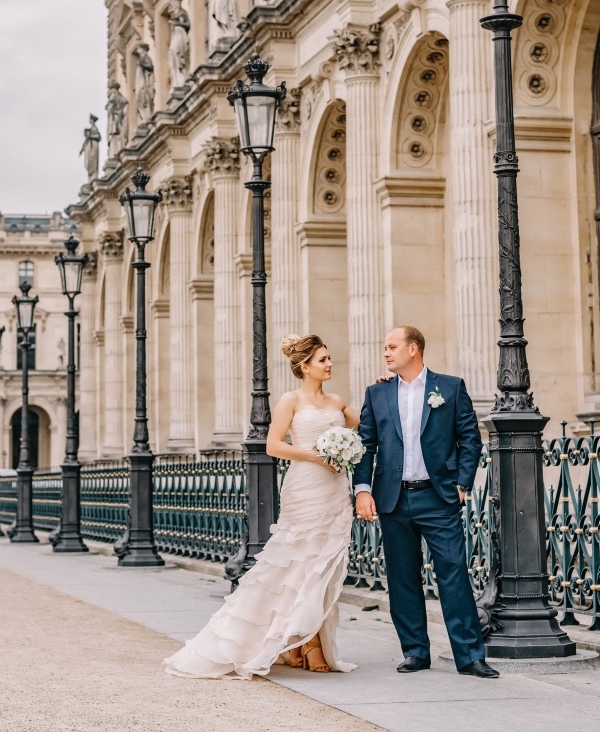 Thanks to the mild weather at that time of the year in Paris the photographer managed to capture the gorgeous beauty, the sincere and warm feelings of mutual love, care and tenderness in a refined, highly professional and fashionable shoot. 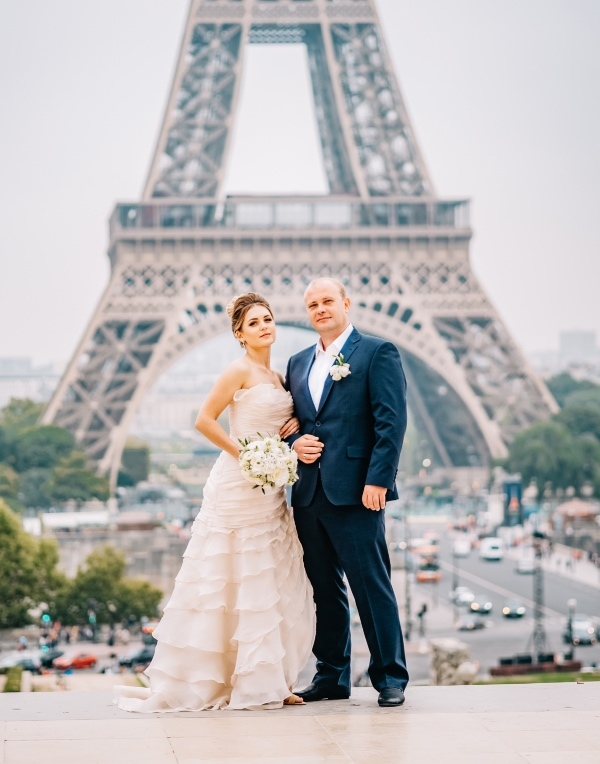 We want to say a huge congratulations to both Alexander and Anna on their elope to Paris, we wish them many happy years together! 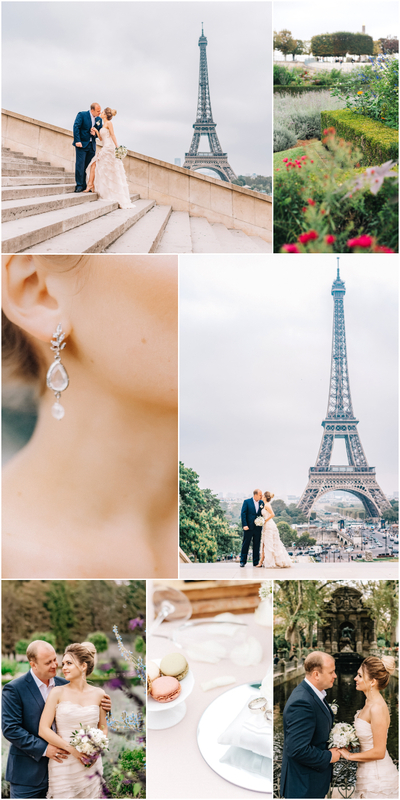 A special thanks to DO IT PARIS WAY for sharing these images with us. 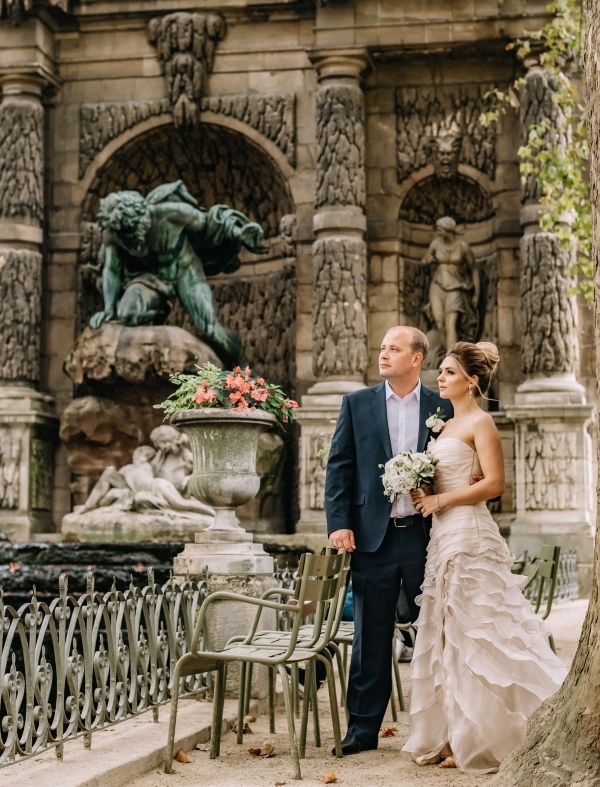 Beautiful photography and a beautiful couple.